Come out and enjoy the spectacular views of Lake Berryessa with your favorite VN CARES people. What better way to start off your Sunday than by immersing yourself in nature, spending quality time with friends, and getting a little bit of exercise in - all at the same time! Come out and enjoy a wonderful evening with your VN CARES friends as you compete head-to-head with one another in some fun-filled, glow-in-the-dark activities followed by a chill s'more roasting session huddled around a fire. Bigs and Littles, this is a great chance for you to get to know each other better before ACE Pairing request surveys are due. But of course, everyone is welcome and even encouraged to come too. The more the merrier! ***Please make note of the new date AND time!!! Fun fact: Dixon corn maze is one of the biggest corn mazes in the world - over 40 acres! Come out to this social if you’re up for the challenge and want to solve this fun puzzle with your VN CARES friends. Also, please sign up using the link below if you can provide rides or need a ride! Also the maze does have a small admission fee ($14) which you can pay to our treasurer (cash or venmo) the day of. What to bring: Warm clothes for the night, optional (but recommended): flashlights. The BIGGEST AND FINAL social for the summer! It will be a race against time and a test of physical and mental challenges where you will paired up with your fellow VN CARES family members and asked to race through Davis and find clues to help determine the final destination! The more family members you have the more of an advantage you have of winning the race for your family. Don't dishonor your family name and everyone come out! I guarantee that you will have fun! Also, don't be late so that we can get the race started right on time! What to bring: A conviction to win, WATER, comfortable shoes and clothing, Sunscreen, optional clothes to get wet in! What do Good Scoop, Sweet and Shavery, and Cream have in common? Their ice cream is not nearly as good as the ice cream we'll be making at this social! Come out and join your fellow interns in making some good ol' homemade bag ice cream. We'll be topping off the afternoon with some friendly board game competition. Kick back, enjoy your ice cream, and use it to calm the nerves and sharpen the mind to triumph over your friends! What better way to beat the heat than to come out to a VN CARES pool party? Come out and hang out with everyone, swim, and eat some FREE food! Its going to be loads of fun and I guarantee there will be water. Show up for at least two hours in the time frame to receive your social credit! See you all there! What to bring: Swimming clothes, sunscreen, your positive attitude, water! Come celebrate with us at this fun-filled event as VN CARES, PHAC, and HLUB commemorate our interns and all we have accomplished this year along with our medical students and preceptors! There will be great food, loads of entertainment, and awesome people to share the night with, making this an event you definitely don't want to miss! RSVP required for this event. See weekly newsletter for details. Come out to our fantastic ice skating event in Vacaville! We will be ice skating together so don't worry about if you have no experience on the ice. Get those skates ready for some spins, twirls, triple axels maybe and a funtastic time! Here is a carpool list if you are interested in going but need a ride! Drivers please sign up as well if you can drive our fellow members! Contact Joseph if you have any questions. Ever feel like playing board games but can never find enough people to play with you? No? Still, let us take the stress of planning from you and come to VN CARES’s ACE Board Game Night! We have many titles awaiting you and your VN CARES fam. We have scheduled games that will count for the competition but please feel free to bring your own games to play! Family points will go to most spirited person/family, most games won per person/family, family with most % attendance. If you can drive or are in need of a ride, please fill out the carpool sheet HERE. Have you ever hoped to hike through nature smelling the flowers and being one with nature? And further mentally and physically push yourself so that you have something to be proud of? Then this social is the one for you! We will be hiking the Homestead Trail and there will be rocks and obstacles but as long as we do it together then we will make it to the top with a sense of achievement and great pictures to post on social media. We will be setting up caropools to the location so please sign up on the link below if you can drive or need a ride there. What to bring: Dry Fit Athletic clothes. Wear layers and you can take them off as it gets hotter. Reliable tennis shoes/hiking shoes, Bring at least 32 oz of water!, backpack, hats, sunscreen, A mental fortitude to conquer the hike. Get ready for one of the most puzzling weeks of your life. 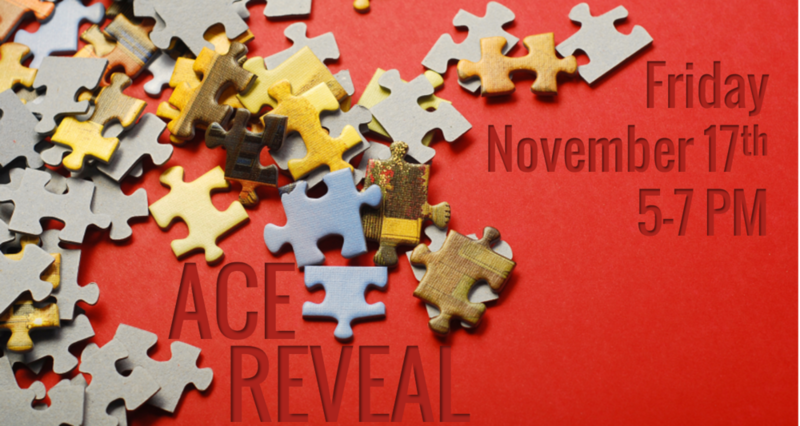 Join us at our ACE Reveal as we celebrate friendship through mildly competitive indoor life-sized board games. This event is a potluck and there will have a hot chocolate bar. Please dress comfortably and settle in for a cozy evening of fun! The reveal will be happening AT THE BEGINNING of the event, so please do not be late. Please also remember to bring your anh/chi/em a small gift <$20) as a warm gesture to mark a new friendship. All interns and alumni are welcome. We encourage everyone, not just those involved in the reveal, to come support their VN CARES families! Potluck sign up sheet HERE. Carpool sheet HERE. Please fill it out if you can drive others or are in need of a ride. If you have any questions or concerns, please contact Michelle at vicepresident@vncares.org or (408) 355-8200. Do you want to walk through 40 acres of corns with your fellow VN CARES members? IF you answered YES then come out to this wonderful social. The Dixon corn maze is one of the biggest corn maze and we are lucky we are so close. Come on out to this social if you want to solve the mystery of this corn maze. Sign up below at this link if you can provide rides or need a ride! Also the maze does cost a small sum but we get a slight discount for going in a group so if you can going please venmo @ucdvncares or just pay our Treasurer the admission fee of $13 dollars. What to bring: Warm clothes for the night, optional: flashlights. Welcome back everyone to the start of the quarter! We will be celebrating the return to academia by having a wonderful collaboration BBQ with VSA. It will be a event that will help to advertise to anyone that is interested in joining VN CARES. So INVITE EVERYONE you know that might be interested in joining our wonderful family. There will be plentiful amounts of food for everyone and some activities as well. The BIGGEST AND FINAL social for the summer! It will be a race against time and a test of physical and mental challenges where you will paired up with your fellow VN CARES family members and asked to race through Davis and find clues to help determine the final destination! The more family members you have the more of an advantage you have of winning the race for your family. Don't dishonor your family name and everyone come out! I guarantee that you will have fun. There will be a fabulous surprise at the end of destination which includes FOOD and MORE SURPRISES and I hope that everyone can come out and have fun with all of us! Also please arrive EARLY before 12 pm @ the designated location if you are intending to participate in the social to make sure that everyone is there on time! If you have any questions about socials or anything contact me, Joseph Nguyen. Its still hot but don't worry this will be after the sun sets and it will be an amazing time! We will be playing assorted games and activities together in the Death Star and all be running through the cool night air. Come out and have some good night fun with everyone! I know what you are all thinking, an ice cream making social? My reply would be "why yes the first of its kind!" Come out, there is opportunity to make ice cream if you haven't done it before with just some bags and ice! Then the fun part is you can eat it afterwards. Also to spice things up there will be a competition for everyone who wants to participate of who can make the best tasting and looking ice cream! There will be official judges and you will be judged on a number of criteria from aesthetics, presentation, and taste. Wow R&E skills put into practice! Otherwise just come out and eat some ice cream and play some games with your VN CARES Family! The weather is absolutely scorching so wouldn't a dip in the pool be an amazing idea? Come out and hang out with everyone, swim, and eat some FREE food! Its going to be loads of fun and I guarantee there will be water. Show up for at least two hours in the time frame to receive your social credit! TONIGHT IS THE NIGHT. The BIG reveal between the Anh/Chis and Ems. . Didn't get enough clues to figure out who your Anh/Chi is? No worries, through special hints and games, you're guaranteed to be in for a roller coaster of emotions before the big reveal. This event will be a potluck dinner (please avoid bringing desserts, we will take care of that and we suggest you coordinate with your families). A sign-up sheet can be found HERE. Remember to bring your big/little a gift <$20) to kick off your budding friendship. Lastly, PLEASE DO NOT BE LATE, we have a fun filled night and will start promptly. GET READY! *This event is mandatory for all new interns and bigs, however ALL FAMILY MEMBERS ARE ENCOURAGED TO ATTEND. A carpool sheet can be found HERE. Please fill it out if you can drive others or are in need of a ride. *The clubhouse is located by the lake at the back of the apartment complex. If you find yourself lost on the day of or if you have any questions or concerns, please call or text Michelle Nguyen at (408) 355-8200. Are you nervous about all that stuff you learned at Orientation? Do you want to ace the practical? If you answered yes to any of the above then you need to come out to this practical social! We will be reviewing things you will need to know for your practical which will be the following day with mini quizzes and activities about anything and everything you will need to know for practical! Come celebrate our clinic with PHAC and HLUB at our annual banquet alongside our medical students and preceptors! Your evening will consist of a ten course meal, lots of entertainment, and a silent wine auction. In preparation for finals, we will be hosting a study social! Come get your study on, ask questions to those who have taken your class, and help out friends with what you know as well! This is the last social for the quarter, so if you haven't met your requirements, try to come out! Here is the long awaited update on the upcoming MS Social! We will be playing games and there will be FREE food, so please come and hang out with your fellow medical students along with PHAC, HLUB, and possibly, the one and only, Dr. Jan! Are you feeling like you want to play some games? Do you have an urge to throw a pie at someone? Well HERE IS YOUR BIG CHANCE! Come on out to our PHAC / VNCARES / HLUB Joint Fall social where we will be playing tons of field games and throwing pies at your favorite preceptor Dr. Jan and many others! Take a breather from your busy week and enjoy your Sunday together with everyone! What: Field Games and Pie Throwing! School is back in full swing, and what better way to start the new school year than with a BBQ!? Come hang out with our cousin club, the Vietnamese Student Association (VSA). We'll have free food, games, and plenty of opportunities to mingle. Yes, you read correctly, there will be FREE DINNER!